BAYSWATER BEACH, N.S. 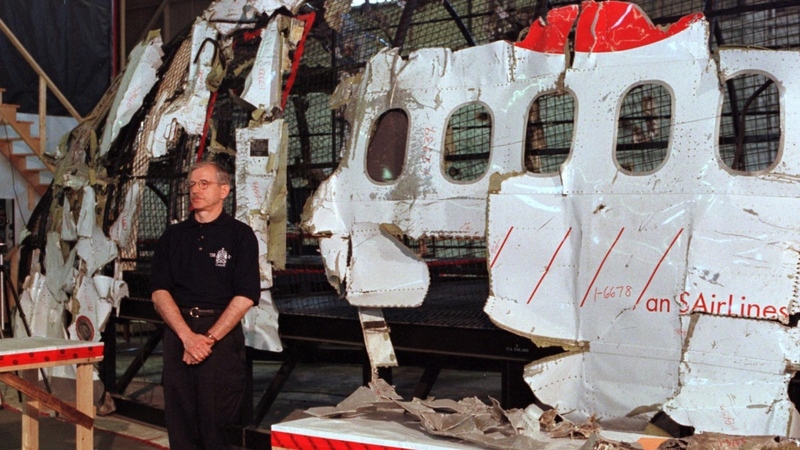 -- Stephen Thompson clutched a tissue Sunday afternoon, unable to hold back tears during an emotional service honouring his father and 228 others who died in a horrific airplane crash 20 years ago. "He was my best friend," Thompson said. "Still, to this day, whenever I come back or think about it, it brings back memories of that night, but I have some great memories as well. The good memories are what I really focus on, but every now and then it comes back," he said. "I can't believe the number of people that are here today," he said. "It meant a lot." "The lessons of Swissair were many ... One of the lessons taught is that the world can be a very small place. 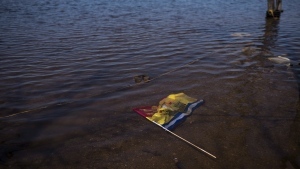 Tragedy touched people in different ways from all around our little blue planet," he said. Quennelle noted that it's important to remember the first responders who helped in the immediate aftermath of the disaster, saying they "took part in what was originally thought to be a rescue operation, but quickly became one of search, and recovery, and investigation." "I spoke with the foreman of the company, and I said: 'There's been a tragedy and we need the bridge for ambulance traffic.' He promised it would be open within 30 minutes, and it was," Cainen said Sunday. 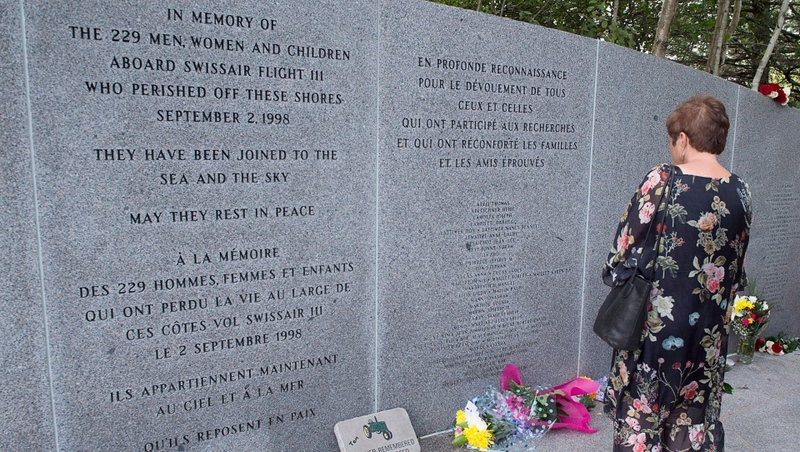 Two days later, he was sent to patrol Peggy's Cove -- a popular tourist attraction where another Swissair monument is located -- to ensure the family members of the victims didn't attempt suicide on the slippery rocks "to be with their loved ones." "When I go there today, I picture checkpoints, I picture helicopter landing zones. It's just different for me," he said. While he said he doesn't deal with any long-term effects from his work in the aftermath of the Swissair crash, he knows several first responders who live with Post Traumatic Stress Disorder. Claire Mortimer, who lost her father and stepmother in the crash, said she's heard of at least two suicides by people involved in the recovery efforts, noting that while the pain of her loss has largely healed, some of the people who helped recover the bodies of the victims may still be dealing with the psychological toll of their grisly duty. "This is a tragedy as much as the plane crash was a tragedy," she said, referencing one of the men who died by suicide. "I consider people such as (the man,) who took their own lives as a result of their involvement in the Swissair site, to be a victim of Swissair as much as my father. These people need to be recognized and cared for." "It just was such a warm, loving experience, to be embraced by so many people," she said, adding that she, in turn, wants to help others affected by the crash heal in their own way. "Perhaps the most significant change is that certain flammable materials such as MPET are no longer used in aircraft, reducing the risk of in-flight fires," he said. Also, air crew are now trained to "quickly start planning for immediate landing until they are assured there is no fire threat to the aircraft or occupants" when smoke is detected.